Ener-C is an effervescent oral powder in convenient dose sachets. Get all the benefits of a multivitamin and a high dose vitamin C in a delicious drink to boost energy, support the immune system and stay hydrated. Suitable for daily use. Ener-C contains natural fruit juice powders and is free from artificial flavours, colours and sweeteners. Ener-C is suitable for vegans and vegetarians, and is tested and verified to be free from gluten, lactose and dairy. 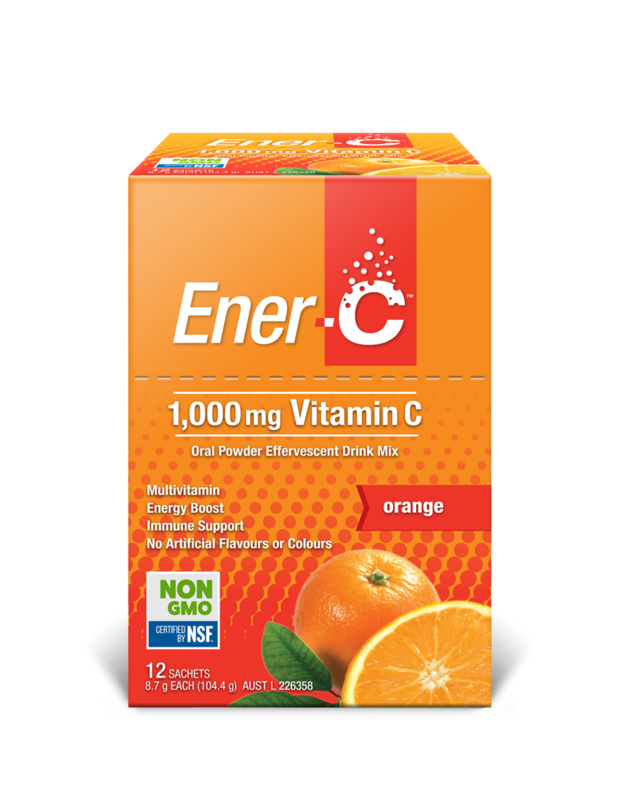 Enjoy delicious orange flavoured Ener-C sachets to assist with hydration and help support energy production and immune function. Dose: Take 1 sachet daily. Empty contents into a glass, add 125-175mL of water and drink; or take as directed by your health care professional. Warning: Vitamins should not replace a balanced diet. When taken in excess of 3000 mcg retinol equivalents, vitamin A can cause birth defects. If you are pregnant or considering becoming pregnant, do not take Vitamin A supplements without consulting your doctor or pharmacist. Enjoy delicious lemon lime flavoured Ener-C sachets to assist with hydration and help support energy production and immune function. 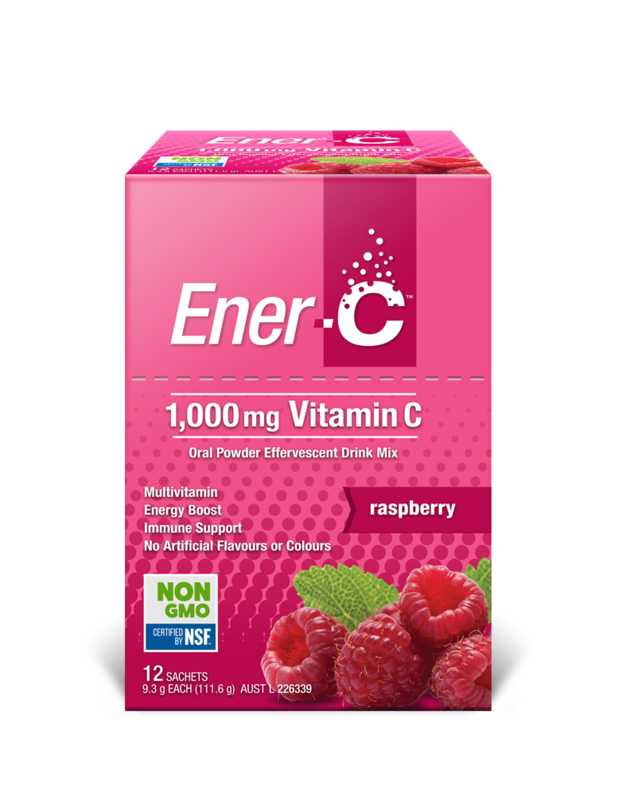 Enjoy delicious raspberry flavoured Ener-C sachets to assist with hydration and help support energy production and immune function.